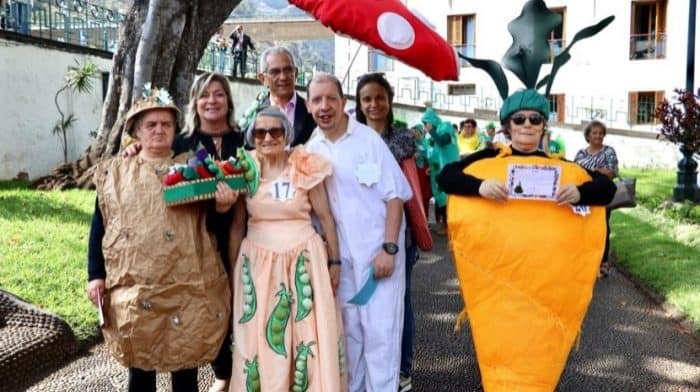 On the occasion of the International Day of the Elderly, the Regional Secretary for Inclusion and Social Affairs, Rita Andrade, was present this afternoon at the Municipal Garden of Santa Cruz, in the 6th edition of the project ‘Alegria de Viver’, invigorated by the Santa Casa da Misericórdia . Last year, in the Autonomous Region of Madeira, the number of integrations in residential structures for the elderly was 248. This year, the number of integrations was 173 during the first half. If we compare the first 6 months of 2018 with the same period of last year, we can see that there was an increase of 63.2% (+67) in the integrations made in residential structures for the elderly. A reality that happens, mainly, due to the increase of the number of beds, revealing a great effort and concern of the Regional Government. Regarding the elderly, and according to Rita Andrade, 1,413 are hospitalized permanently. The increase in life expectancy presupposes the emergence of people who are becoming more advanced and therefore more dependent, leading to pressure on formal and informal support systems and making it necessary to create more responses; appropriate responses. According to data from the National Institute of Statistics, in Portugal, the resident population over 65 will increase from 2.1 to 2.8 million people between 2015 and 2080. In the Autonomous Region of Madeira, currently, 14.9% of the population is over 65 years old. An increasing number of people are aware that, in 2001, it was 13.7%. According to Eurostat data, as early as 2050, Portugal will be one of the European Union countries with the highest percentage of older people and a lower percentage of the active population. And it is at this level that the Regional Government has been working, including in its Government Program, strategic objectives of Appreciation and Protection of the Elderly Population, which includes several measures, such as the design of the Regional Active Aging Program 2016-2019 , currently with 91% implementation. This plan sees one of its measures implemented today, with the presentation of the ‘Citizens’ Guide on Citizenship’. A guide that aims to raise awareness of the rights of older people and the importance of their exercise in the choice of existing social responses, giving priority to the response and choice, in the true sense of the word, of managing their own lives. Its creation and launch is in line with the theme chosen for this year’s celebrations – ‘Informed Elders, Active and Participative Citizens’. Many other measures have been implemented by the Regional Government through the Social Security Institute of Madeira, namely through the reinforcement of home support, which currently reaches 3,477 elderly people, the extension of the integrated warning system to the elderly living alone, informal caregivers, and 301 caregivers are now supported. There are also other types of support, through the provision of meals at home, laundry service, the Solidarity Supplement for the Elderly, which benefits 3,186 elderly, and technical assistance banks. The promotion of active aging through literacy actions, the use of new technologies, intergenerationality and the promotion of healthy lifestyles is also fundamental. For all this, the 5 residential structures for the elderly and 14 Day Centers and Conviviality available to the Region, complemented by others, are maintained through the valuable cooperation with the IPSS’s, which reinforce this response and reach even more people. The regional secretary for Inclusion and Social Affairs stresses that this day is fundamental to awaken our attention and ensure that we continue together to reflect on Aging and on the new social responses to the elderly population, provided with quality, dignity and security , which allow a continuous adaptation to the emerging needs of the population residing in Residential Structures, as well as those who prefer to remain in their homes.